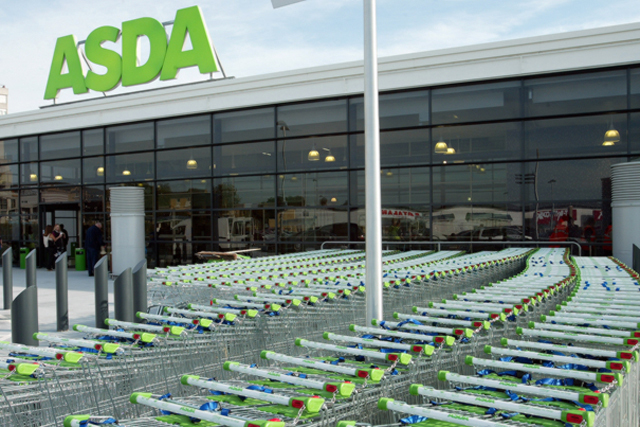 Asda is targeting Easter shoppers with a fresh bout of voucher activity that offers customers £5 off a £40 shop on top of its Price Guarantee promotion. The supermarket is bringing back its voucher activity after the successful deployment of the strategy last Christmas, which helped the retailer outperform Tesco in the critical trading period. As a result, Tesco performed a U-turn and offered money-off vouchers in January after its chief executive Philip Clarke admitted the lack of voucher activity had contributed to its torrid Christmas. Asda is bringing back its money-off promotion today (26 March), to give any customer who spends £40 or more in-store or online a £5-off voucher when they check their bill online at its price guarantee microsite. The promotion will run until 7 April and will be redeemable until 22 April, when the customer next spends £40 or more. The voucher activity is on top of the existing Asda Price Guarantee (APG), which pledges an Asda basket will always be 10% cheaper than Tesco, Sainsbury’s, Waitrose and Morrisons. If Asda is not 10% cheaper the supermarket will issue a voucher for the difference. Andy Clarke, CEO and president of Asda, said: "Despite all the economic clouds, we still know mums want to celebrate with their families this Easter and the £5 voucher and APG combination will be a great help, just like it was at Christmas. "The APG offers our customers year round reassurance that they will get the best value shop at Asda. The £5 bonus gives them an additional boost when we know it really matters." Supermarkets stop the presses: are the big chains turning their back on newspapers?